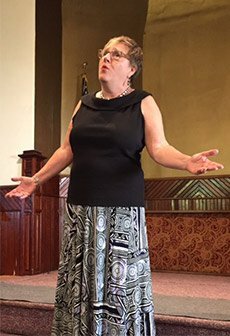 Diane Abatemarco, director of Maternal Addiction Treatment, Education and Research at Thomas Jefferson University in Center City, sings with the Copper Penny Players. “I can typically be seen walking the streets of Philly singing," she says. Diane Abatemarco, Ph.D., MSW, loves to defy expectations. As an associate professor in the departments of Obstetrics & Gynecology and Pediatrics, and as vice chair of the Division of Pediatric Population Health Research and director of Maternal Addiction Treatment, Education and Research at Thomas Jefferson University, she is the consummate educator helping shape the future of medicine. 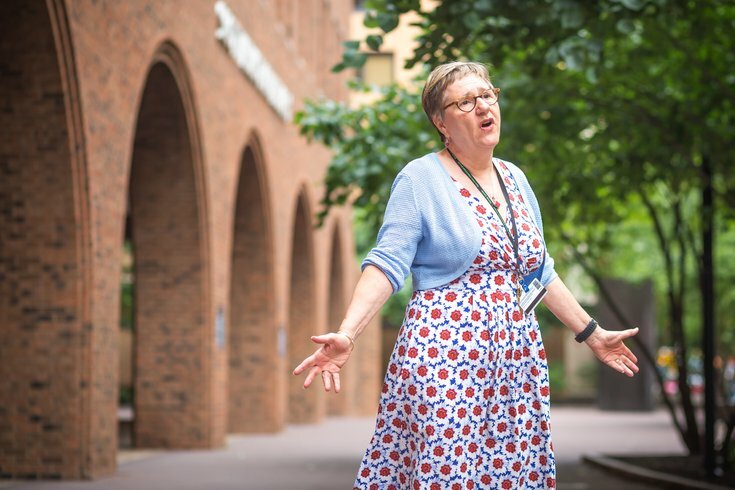 Out of the office, though, she uses her voice and her quick wit to entertain audiences as a singer with the Copper Penny Players, a 10-week series of singing classes which are open to people of all ages and musical backgrounds. 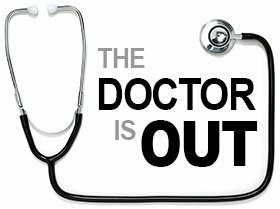 A new PhillyVoice feature called "The Doctor is Out" is highlighting what doctors, nurses and other medical professionals do on their own time, away from the hospital or office. Cool hobbies. Amazing feats. Inspiring charity or volunteer work. Help us out: Know a medical professional in the Philly region with an interesting side story? Send us a tip via email. At the end of each series, the performers put on a traditional revue, usually at the Phillips Mill in New Hope, Bucks County. Abatemarco’s favorite songs are anything from Broadway or the Great American Songbook. She especially loves to sing comic or tongue-in-cheek songs that the audience doesn’t expect from her like “You’re an Education,” written by Harry Warren in 1934 and recently recorded by Michael Feinstein, which mocks education. Another crowd-pleaser is her performance of “Rhode Island Is Famous For You,” originally from a 1948 musical revue called “Inside U.S.A.,” but more well-known by Blossom Dearie and Feinstein. Abatemarco, 63, has been with the Copper Penny Players for four years and has 12 shows under her belt. But her reconnection to music might not have happened if it wasn’t for a favor for her daughter. Although she has been friends with Fred Miller, director of the Copper Penny Players, for 25 years, it had never crossed her mind to join his group. Singing in a public forum was a daunting thought considering she hadn’t done it since junior high. Diane Abatemarco sings “Been to Canaan” during a past performance. That all changed however when her daughter asked her to attend one of the Copper Penny Players classes with her mother-in-law who was interested in joining the group. Her daughter’s mother-in-law, however, never showed up for that second class. At each class, everyone is expected to have a solo prepared to perform. Miller accompanies each singer during his or her performance and offers coaching on breath support, voice placement and expression. The first song Abatemarco performed in class was “Moonglow” from the Kim Novak and William Holden movie, “Picnic.” Although nervous singing for the first time, the class was really receptive to her performance, and she was hooked by her second solo. She was surprised to find that she was more nervous singing in front of her classmates than on the actual stage come show night. Today, you can find Abatemarco singing pretty much all the time as she fine-tunes her next solo.